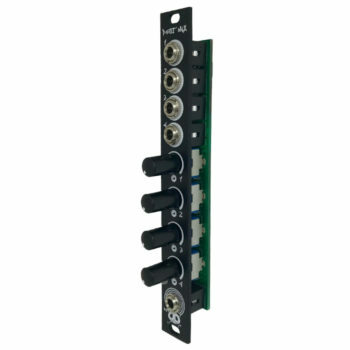 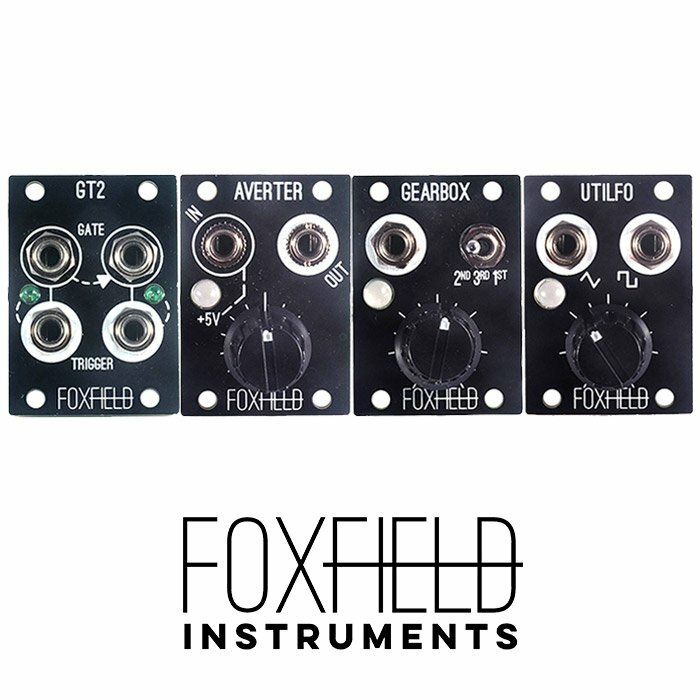 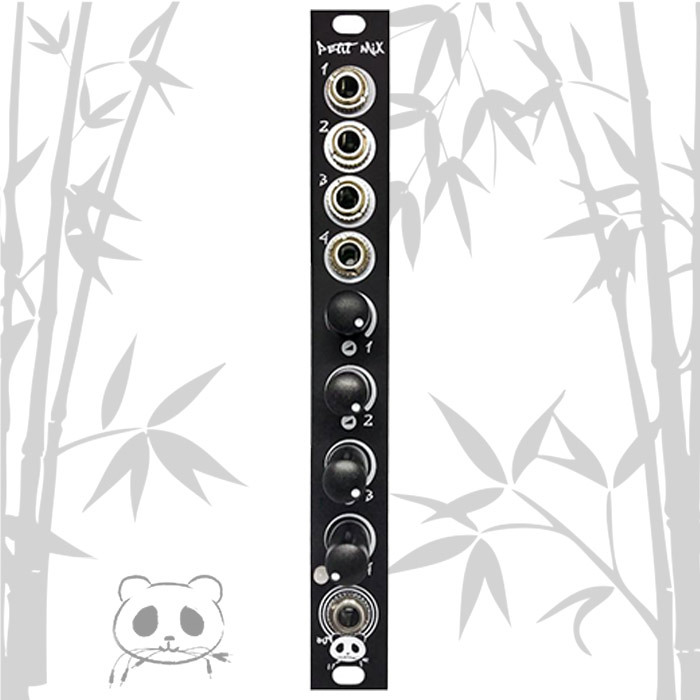 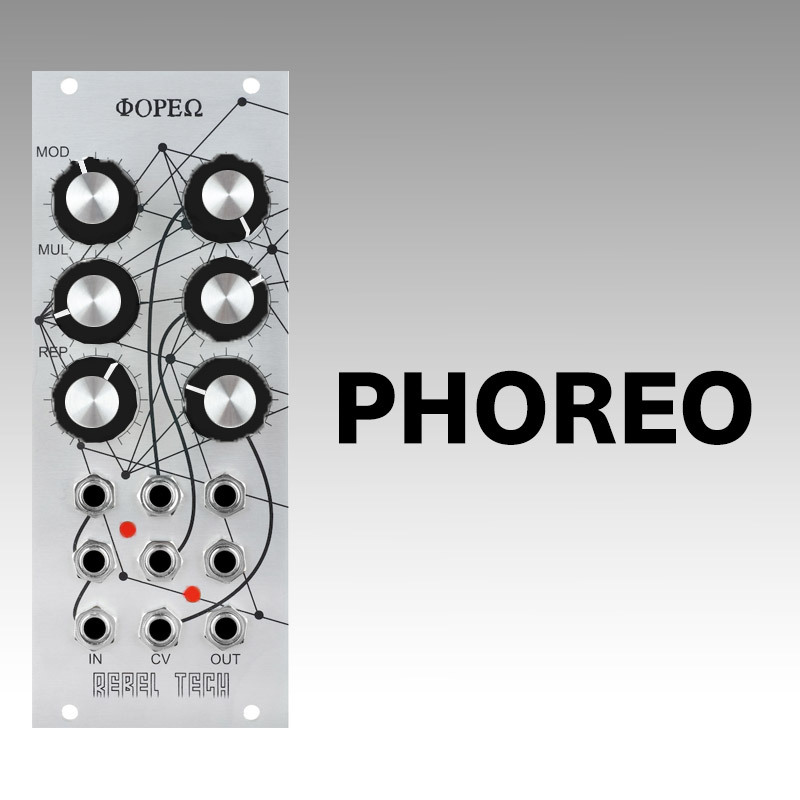 The Petit Mix is a 3hp Eurorack mixer module with 4 inputs. 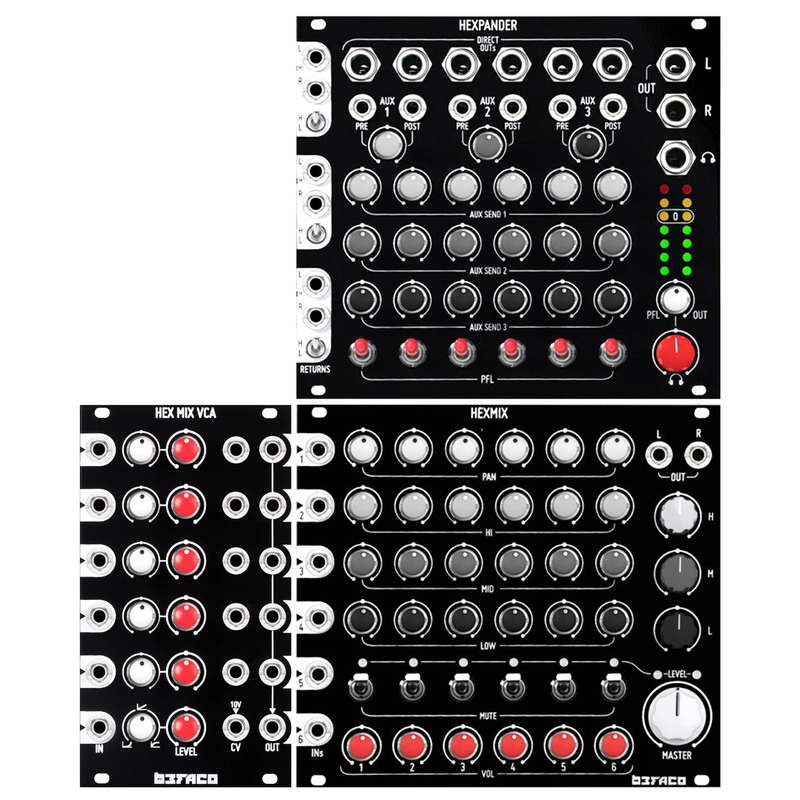 Each input has its own level control and all inputs are DC coupled to allow for CV mixing as well as audio. 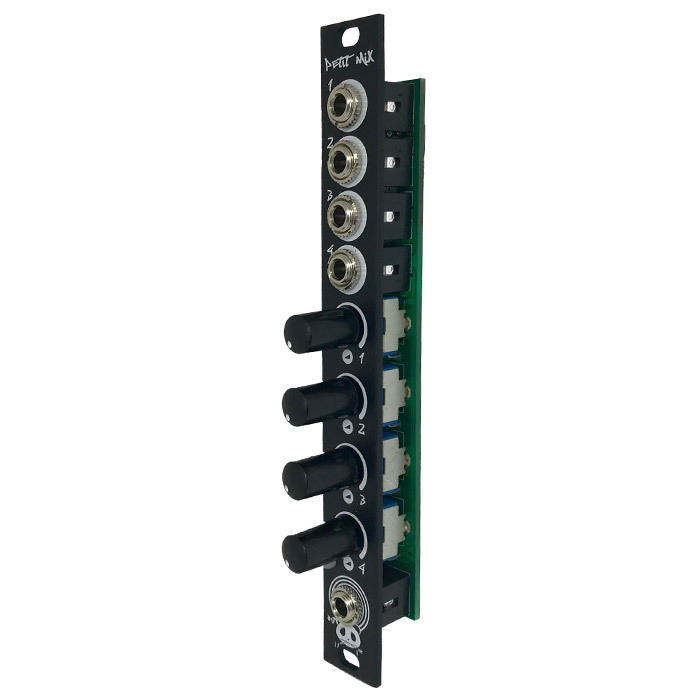 There is a bi-colour led on the Frontpanel to indicate signal polarity for active channels.. 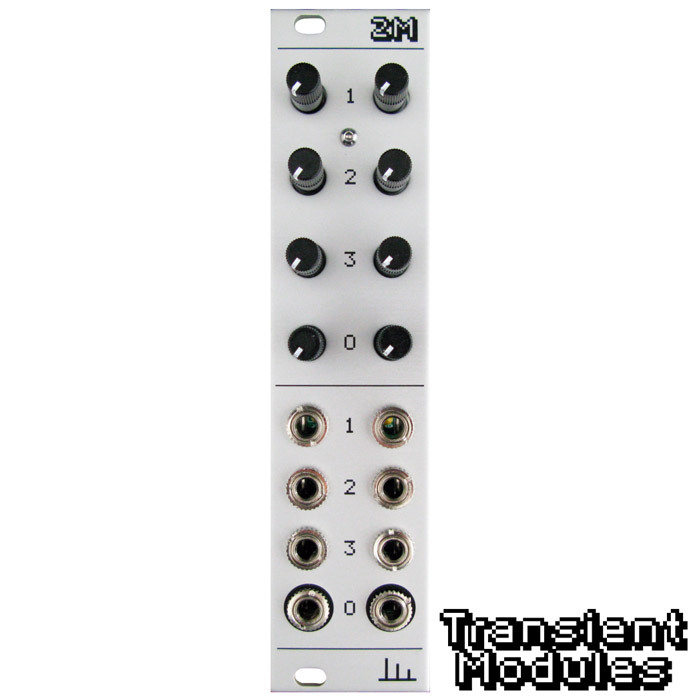 Note: this module features some SMD components.